VMware is partnering with Amazon Web Services on the Amazon Relational Database Service on VMware. 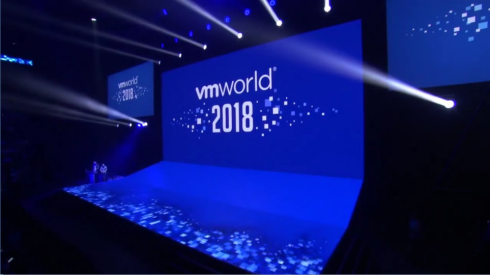 The companies made the announcement this week at the VMworld 2018 conference taking place in Las Vegas. The database is a new solution VMware says will bring easier management and migration of VMware, AWS or hybrid database running on VMware to its cloud computing and platform virtualization offerings. VMware says this update will bring along features that make things like provisioning, patching, backing up, cloning, restoring, scaling, monitoring, multi-node data replication, scaling, security, compliance and auditing much easier on database administrators. “With this offering from AWS and VMware, end users and database administrators alike now have access to a cloud-like database management experience, in whatever environment they choose to run – private or public cloud,” VMware CEO Pat Gelsinger said of Amazon RDS on VMware, which he says addresses many concerns and QoL requests of VMware’s customers with its launch. In addition, the company announced a number of other announcements throughout the week. Project Dimension, a software-defined data center-as-a-service offering that combines VMware Cloud Foundation and VMware cloud. “Project Dimension will dramatically simplify operational complexity and cost at data center and edge and offers built-in security and isolation, allowing customers to focus on innovation and differentiating their businesses,” the company wrote in the announcement. Virtualization on 64-bit ARM for Edge, designed for IoT application, and which was demonstrated running on a windmill farm. And Project Concord, a “highly, energy efficient decentralized trust infrastructure for digital consensus and smart contract execution” which can be applied to power distributed trust infrastructures like blockchain, the company says. It is available now as an open-source project. The event also saw the expansion and update of security and ease-of-use features of much of VMware’s cloud offerings, all with the goal in mind of streamlining the setup of multi cloud infrastructure. VMWare NSX-T Data Center 2.3 brings the company’s multi-cloud configuration to AWS, Microsoft Azure and on-premises environments, bare-metal Linux hosts and will allow users of VMware Cloud on AWS to employ “micro-segmentation with the distributed firewall, grouping constructs, and advanced matching criteria such as security tags across software-defined data centers” in that environment. vSphere Platinum: VMware’s new release of its cloud computing virtualization platform incorporates VMware AppDefense on top of the preexisting security features of the platform, bringing application security configuration to the VMware hypervisor. The company also announced it was acquiring CloudHealth Technologies, a multi-cloud operations platform provider. The platform is designed to analyze and manage cloud cost, usage, security and performance on native public clouds. For the Internet of Things and the edge, VMware announced a new edge computing strategy. The company is approaching edge computing with a new framework to extend the company’s hybrid and multi-cloud environments to the edge. The company ways it has three missions in its strategy: control and simplify customers’ edge strategy; better secure, connect and manage customers’ edge compute; and accelerate and scale customers’ innovation. Finally, the company highlighted some updates to VMware Workspace ONE, its digital workspace solution which can help automate system updates and OS migrations.